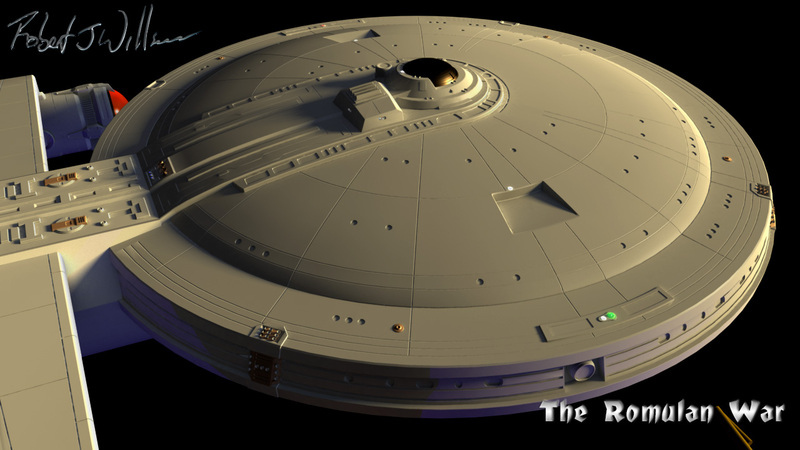 I’m calling the top of the saucer done. 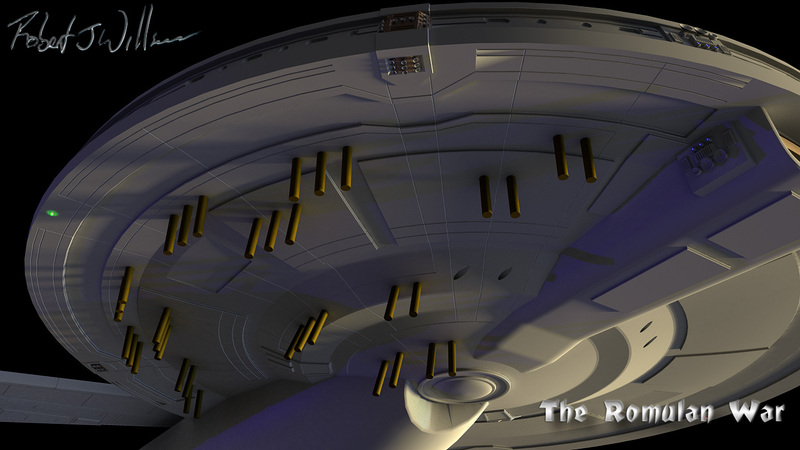 I added a few more lights, more phase cannon hatches and doors to the upper cargo bays. 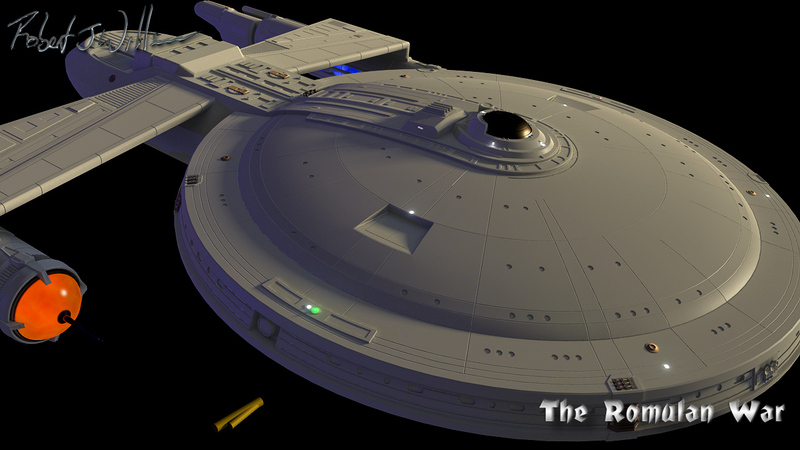 I also added phaser cannon hatches to the back of the secondary hull. A few more bits added like phaser cannon emplacements. 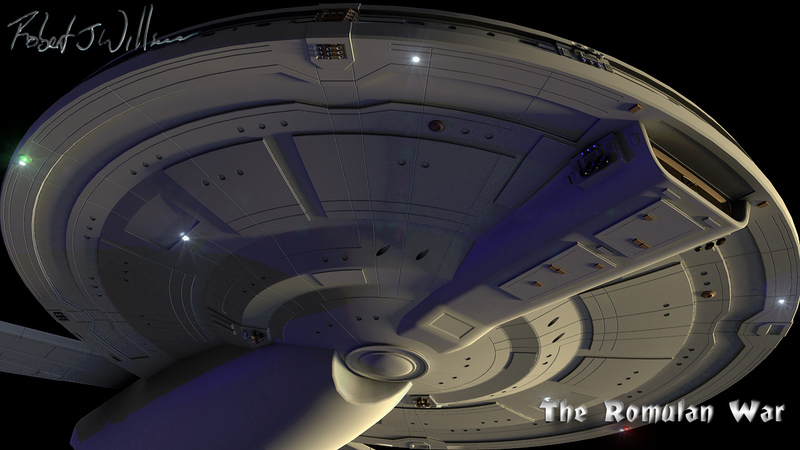 A few more lights and a cut out in front of the nav deflector. 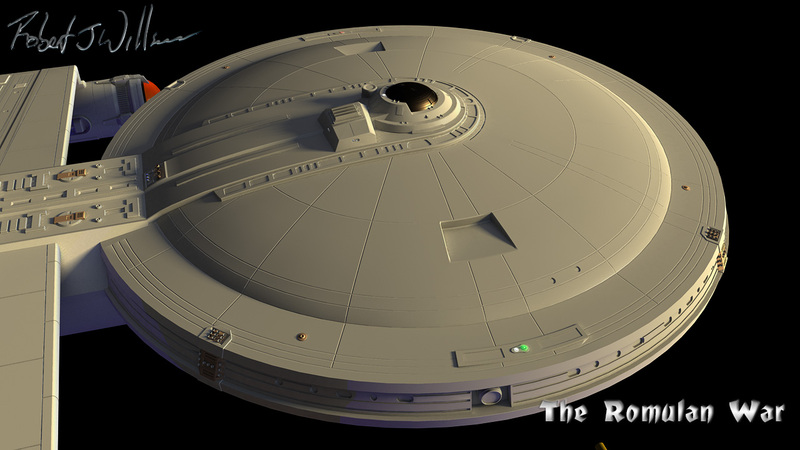 A minor things to finish up and the bottom of the saucer is done. Windows and grid lines are all finalized. 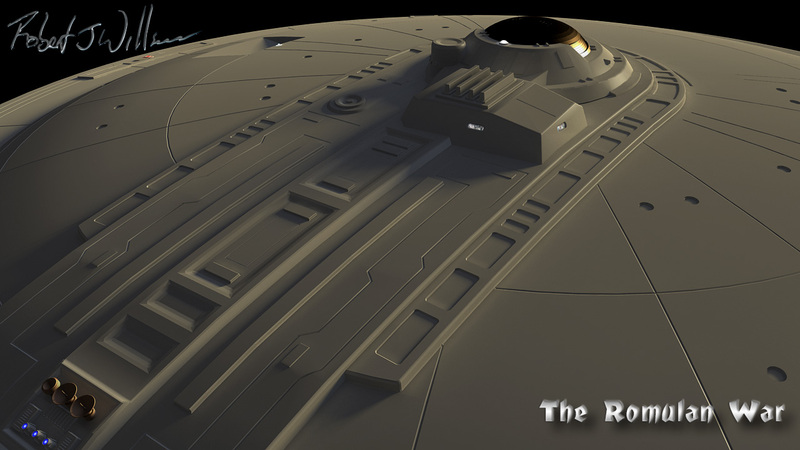 I added more stuff to the nav deflector. My computers’ been acting up lately and now it’s telling me I don’t have a genuine version of windows. If it go all goofy on me I might just done. I grid lines are basically in and I’m starting to lay out the windows. 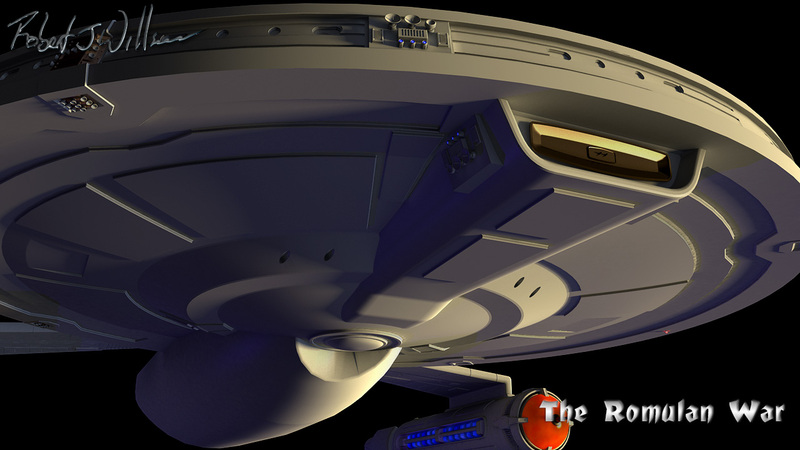 I’ve also some sensor things to the bottom of the saucer. A closer look at the spine with a little more detail added. I might move the module behind the bridge a little bit closer to the bridge. 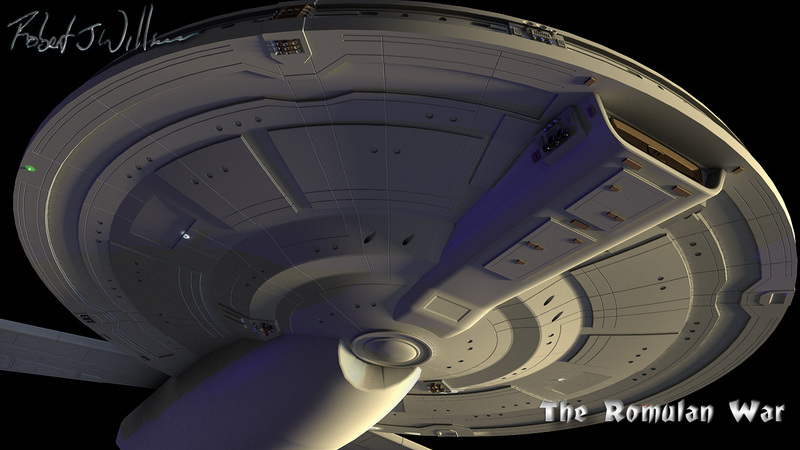 I added more detail to the saucer rim and chamfered a bunch of edges on the bottom of the saucer. 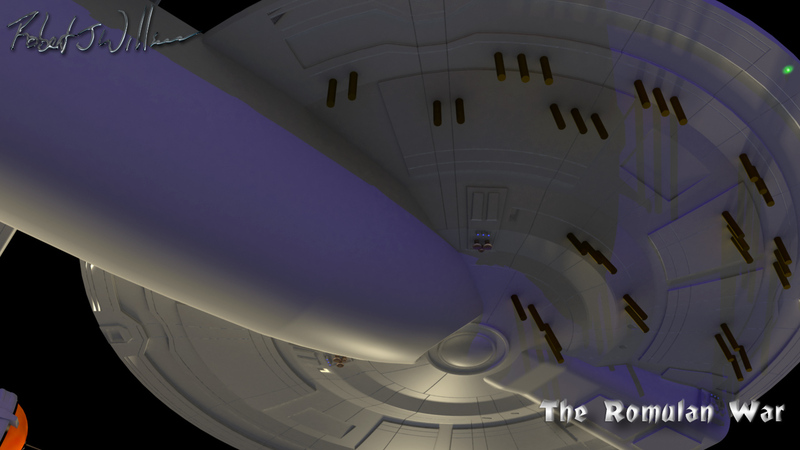 I also worked a bit on the nav deflector. Finalized grid lines and windows. I also added a bit more to the spine. Doing a little grid line test and possible window placement.